The Integrated Water Quality Monitoring and Assessment Report or "Integrated Report" (IR) summarizes water quality data collected by the DEP as well as numerous other state, federal and tribal government agencies, volunteer water monitoring organizations, and other sources. The Integrated Report is also known as the 305(b) report and 303(d) list because it is required by Section 305(b) of the Clean Water Act. The Clean Water Act requires states to submit an Integrated Report to EPA every even-numbered year. Monitoring information is analyzed by the DEP to assess the ability of Maine 's water resources to meet uses such as drinking water, aquatic life support, fishing or recreation as established by Maine's Water Classification laws. The 303(d) list of impaired waters identifies the waters not meeting one or more of their designated uses, and is included in Appendices in the Integrated Report. 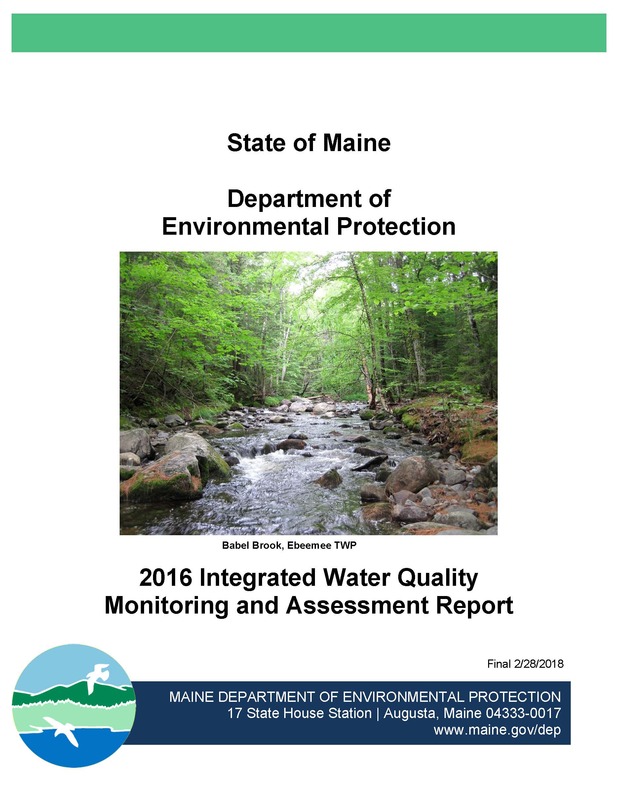 The Integrated Report also provides detailed atlas information on miles and acreage of aquatic resources in Maine and information on groundwater resources, however, an assessment of specific use support is not provided for those waters. Each even-year cycle MDEP first posts a draft Integrated Report for public comment. The final version with responses to comments is posted below.